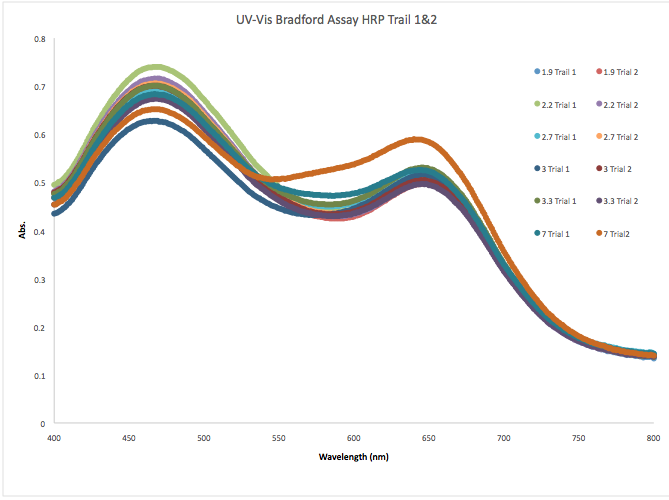 Determine Horseradish Peroxidase (HRP) concentration through a calibration curve. This is done through the Bradford Assay. Make a stock solution with 10.4 mg HRP in 2 mL of Tris buffer. Trial 1 and 2 were done with a cuvette that had a path length of .412 cm. 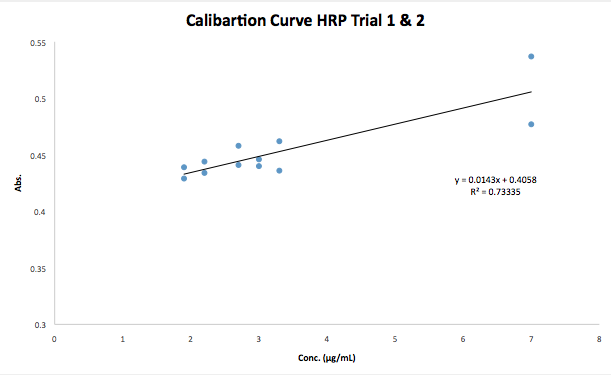 Trial 1 and 2 were not accurate when looking at the calibration curve. A new set of standards will be made for tomorrow.